Sheila Johnson Kindred recently reviewed G. Brenton Halliburton’s edition of A Colonial Portrait: The Halifax Diaries of Lady Sherbrooke 1811-1816 for the Journal of the Royal Nova Scotia Historical Society (Vol. 15, 2012), and, with the permission of the editor of the Journal, Brian Cuthbertson, she has given me the review to share with you here. 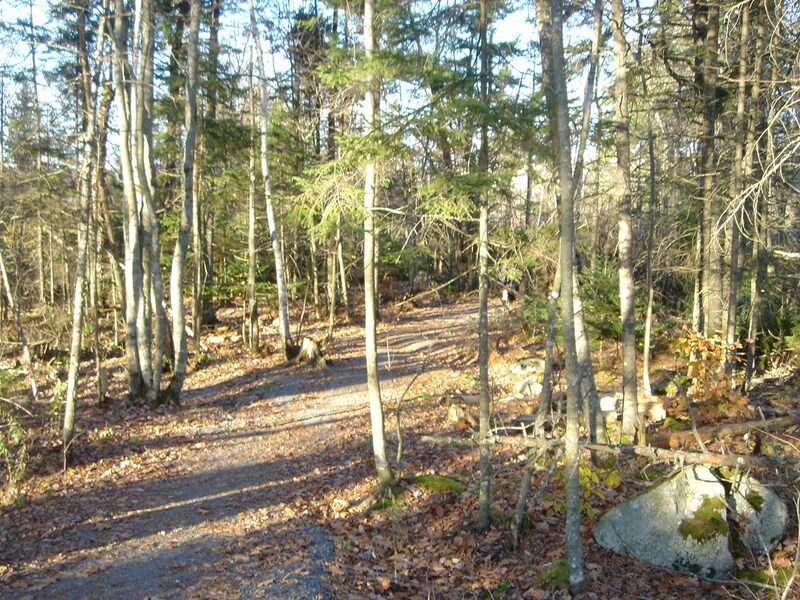 Belcher’s Marsh Park, part of the Birch Cove estate Lady Sherbrooke and her husband rented while in Nova Scotia. I visited the park in early November, and while I didn’t see any black flies, I didn’t find any mignonette either. G.Brenton Haliburton, ed., A Colonial Portrait: The Halifax Diaries of Lady Sherbrooke 1811-1816. Raleigh, N.C.; Lulu Press Inc., 2011. 223 pp., illus. ; Paperback: ISBN: 978-1-257-86362-4; $25.66. On 16 October 1811, the newly married Lady Sherbrooke (nee Katharina Pyndar) arrived in Halifax with her husband, Sir John Coape Sherbrooke, who had just been appointed Lt. Governor of Nova Scotia. Thus began six years of service for the Sherbrookes. He was to provide effective military and administrative leadership through a period which included the tense war years of 1812-14; she became the conscientious chatelaine of Government House and as the text of her private diaries reveals, a close observer of the social, cultural and political life of Halifax. 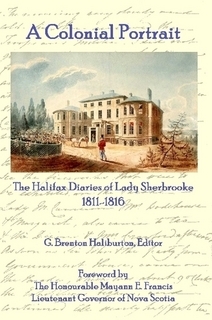 Brenton Haliburton has now ably transcribed and edited Lady Sherbrooke’s Halifax diaries. His introduction evokes the time and place of the diaries and his selection of entries brings out “their historical relevance as a wartime record and social calendar of the Halifax garrison in the years 1811-1816” (p. 11). His endnotes identify persons and locations Lady Sherbrooke mentions and the text is interspersed with contemporary newspapers advertisements, proclamations and contemporary prints of Halifax. As in the case of many diaries, not every sentence of entry is equally enthralling. Lady Sherbrooke faithfully records the weather, the duration and destination of her daily walks, the arrival and departure of the mail packet and the calibre of each Sunday’s sermon at St Paul’s. There are many lists of who called and dined; in fact the reader is introduced to a veritable who’s who of the administrative, merchant and military classes of Halifax of the time. Lady Sherbrooke was evidently not a gossip monger for there are no rumours or speculations in her accounts of events and descriptions of people. Yet within the context of predictable topics, Lady Sherbrooke provides intriguing vignettes of information and contextual detail. For example, she reveals the tastes and circumstances of some of her circle. We learn that Rev. Dr. Stanser of St Paul’s was a devotee of hashed caribou; that Lady Sherbrooke and her friend Mrs. Wodehouse, wife of the Commissioner of the Naval Yard, Philip Wodehouse, were excited to acquire from a visiting naval captain, Sir Robert Cavendish Spencer, a copy of Jane Austen’s recent novel, Mansfield Park, which “we were both very anxious to see” (p. 184). Lady Sherbrooke also describes the social etiquette of weddings, christenings, levees and balls. Lady Sherbrooke alerts us to the vicissitudes of the war. She mentions the navy’s sad loss of HMS Chub just off Halifax, when all aboard perished, including Dr. Stanser’s son, and she records the embarrassing American capture and destruction of the British frigate HMS Guerriere. Though she must be discreet in writing about military specifics, her tone sometimes suggests that she may have had some inside information. When news comes in late September 1814 that Sir George Prevost has “failed in an attack he made on the Enemy’s country and been obliged to fall back,” she treats this intelligence as an “accumulation of bad news [which] made us very melancholy and led me to entertain great fears for the future, which I pray God may never be realized” (p. 157). When Sir John is about to undertake active service in the field, his wife admits she “felt extremely uncomfortable” the whole of the week “knowing that he was about to embark on Friday [26 August 1814] with an Expedition for some part of the American coast” (p. 150). Two weeks later she learns that Sir John has captured Castine [Maine] without opposition but it is another month until that “very fine and very joyful morning” [21 September] when “Sir John rode up to the door [at Birch Cove], looking very well, after all his fatigues” (p. 155). 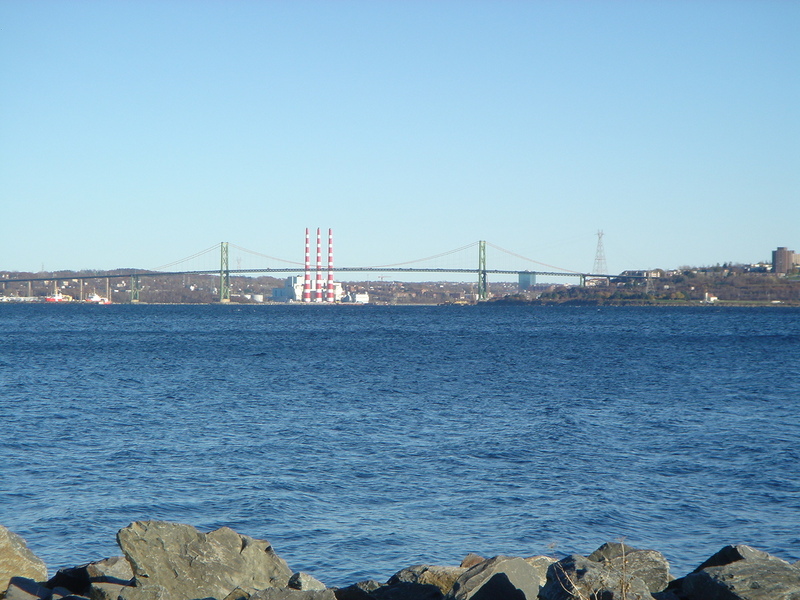 Lady S. writes often about her delight in the flora and fauna she finds in their gardens in Halifax and at Birch Cove, Bedford Basin, where they rented an estate. She is fascinated by the native robins, which she surprisingly reports “are esteemed very good eating and numbers of them are shot for the Table” (p. 53). She delights in the first mayflowers, the first seasonal sightings of hummingbirds, her first encounter with fireflies, and the array of fruits and vegetables that can be grown in her gardens. Her knowledge and passion for botany is evidenced by a list, complete with Latin nomenclature, of forty-three different species of plants she has observed growing wild at Birch Cove (pp. 208-209). Lady Sherbrooke also tells the story of Government House and its many uses, both for official business and pleasure, and she describes some of its furnishings, including “some marble chimney pieces, bought out of a French prize, [a captured enemy vessel], by the House of Assembly for the dining, drawing and Levee rooms” (p. 90). She does not neglect to mention the cultural life of the city. Both Sherbrookes were keen patrons of the theatre but learned quickly that a Canadian winter can foil the best of plans. On 21 January 1812, the garrison play was postponed “on account of one of the Performers being unable to get over from Fort Clarence [on the Dartmouth shore].” Moreover, “the wind was so violent, we had a party of 20 to dinner who were invited purposely to go to the Play. They walked home in the evening thinking their carriages unsafe” (p. 42). Although Lady Sherbrooke’s daily routine kept her in select company, she does mention something of the rougher side of the town. When Sir John took her on foot to the top of Citadel Hill, she was “very much delighted with the view, which is extensive and beautiful” but . . . “from the number of drunken Sailors, and other disagreeable objects that are perpetually to be seen, [she] was quite convinced that Sir John judged rightly in not approving of my walking in the Streets of Halifax” (p. 121). It is not surprising that a lady of her rank and sensibilities would ignore the seamier side of the military town in which she was living. Brenton Haliburton has done a service to historical scholarship in making these once private diaries now publically accessible. They are of very considerable interest to those curious about the social and political history of early 19th century Nova Scotia. They have additional importance as the first person narrative of an educated young woman, well placed to describe and comment on the social and military dynamics of war time Halifax as well as the natural beauties of the locality. No other Lt. Governor’s wife is known to have kept such a personal and intriguing record. Sheila Johnson Kindred is the author of several essays on Jane Austen and her naval brothers Charles and Francis. She teaches in the Philosophy Department at Saint Mary’s University in Halifax, NS.